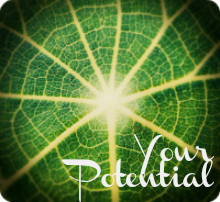 Your potential is a combination of your strengths AND your weaknesses. Your weaknesses provide the key to making the most of your strengths. What you perceive as being a weakness, can actually be a strength if you know how to balance it. Purpose is about knowing where you’re headed and why. 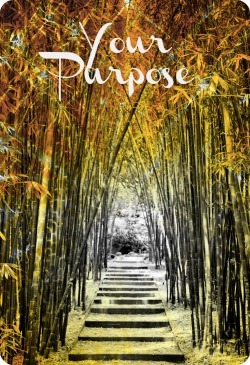 Understanding your purpose in anything we do in life gives us a sense of satisfaction that we are contributing to something that will have a positive, lasting outcome. In other words, that our time and effort was worth it! We have a higher chance of achieving our desired result when we know where we’re going and why. This week, the focus is to think long-term about your life, where you’re headed and what is your ultimate desired outcome for your life. This is your ‘big picture’ view of your life where you ask yourself ‘what do I really want my reality to look like?’ and ‘what is most important to me?’ Focus on the ‘what’, not the ‘how’. How you are going to get there is irrelevant at this stage. Just enjoy dreaming big!